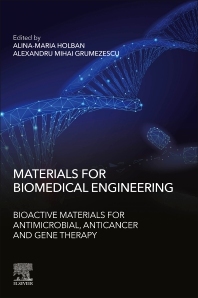 Materials for Biomedical Engineering: Bioactive Materials for Antimicrobial, Anticancer and Gene Therapy offers an up-to-date perspective on recent research findings regarding the application and use of these materials for disease treatment and prevention. Various types of currently investigated bioactive materials, including therapeutic nanostructures and antimicrobial hydrogels are discussed, as are their properties, impact and future role in therapeutic applications. The book will be extremely useful for new researchers who want to explore more information on the use of bioactive materials or for more experienced researchers who are interested in new trends and specific applications.